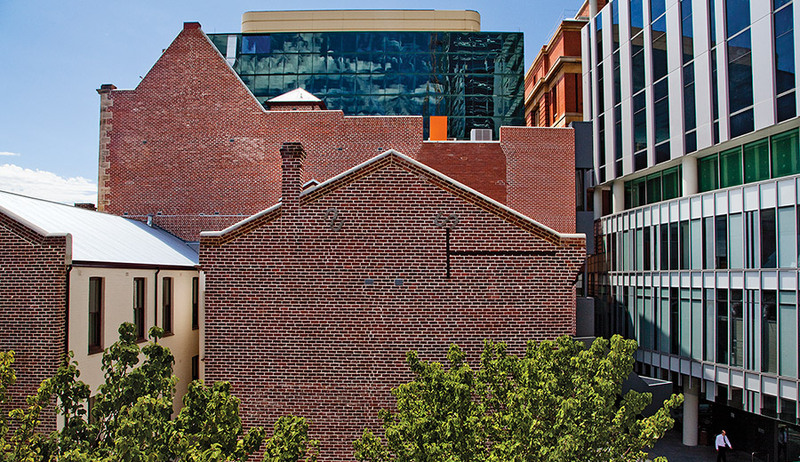 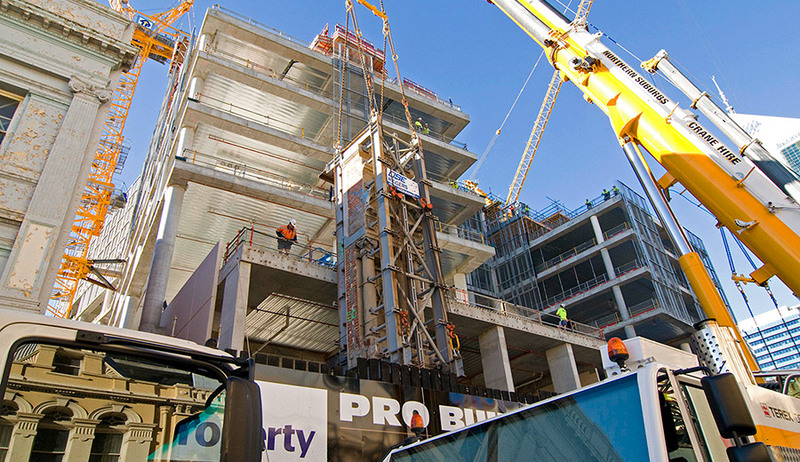 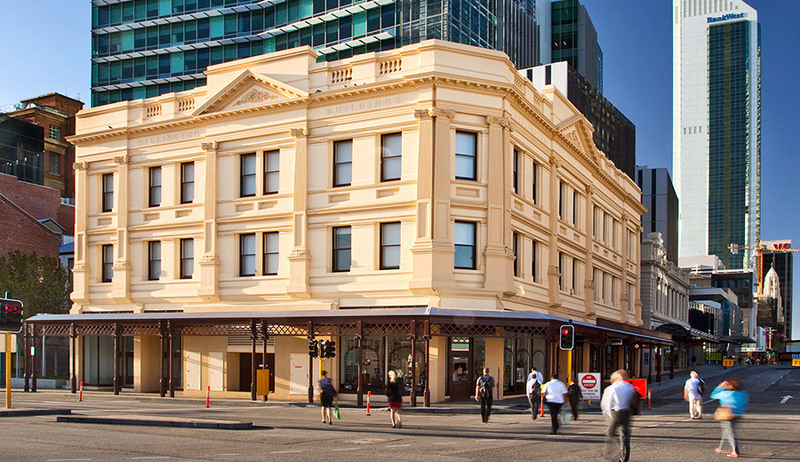 A major mixed-use development in Perth’s historic centre. 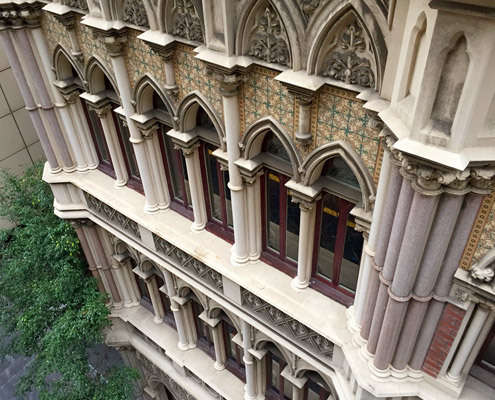 Facing three city streets, one40william includes a new office tower, an underground metro station and the restoration and refurbishment of three historic commercial buildings and a façade. 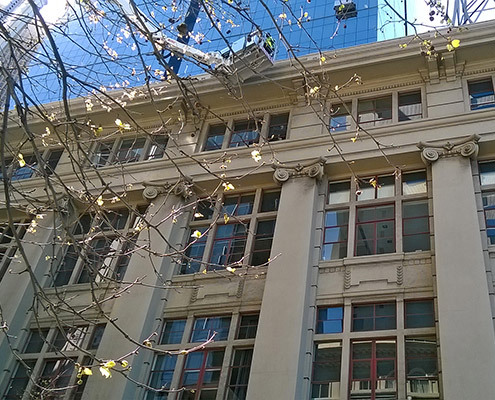 We provided heritage consultancy to the project as a whole, and architectural services for the adaptation and reuse of the retained buildings and the conservation and reassembly of the façade. 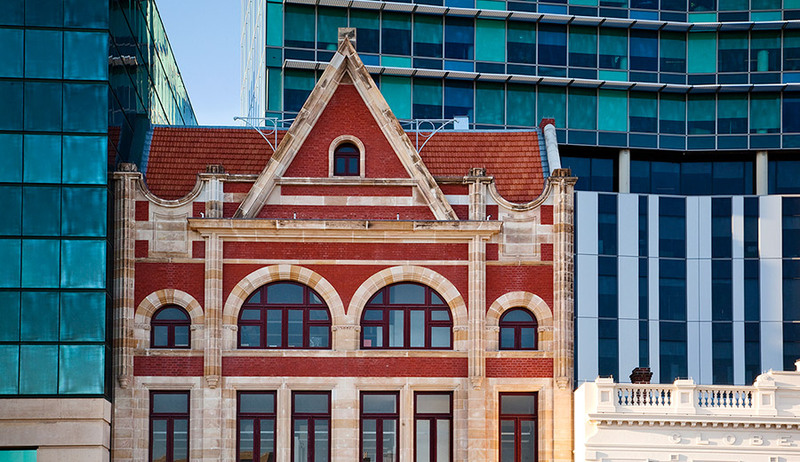 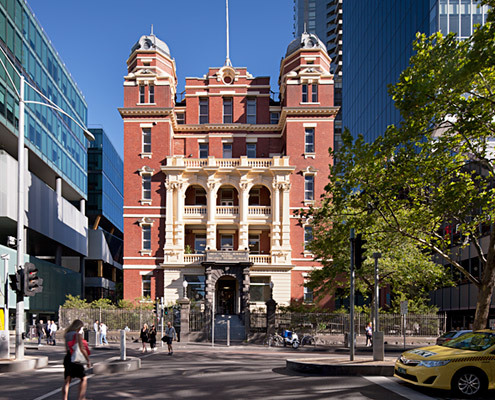 The three restored buildings in Wellington Street are the former Bairds Building (c.1905), the Globe Hotel (1882-3) and the Wellington Building (1910). 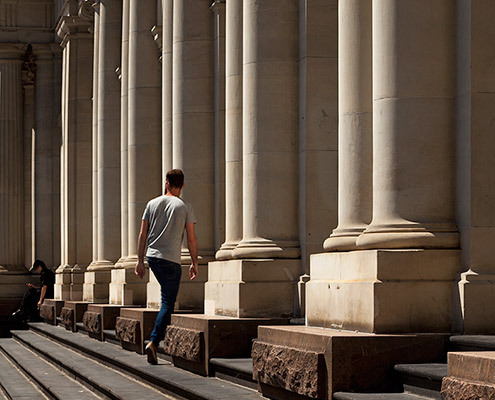 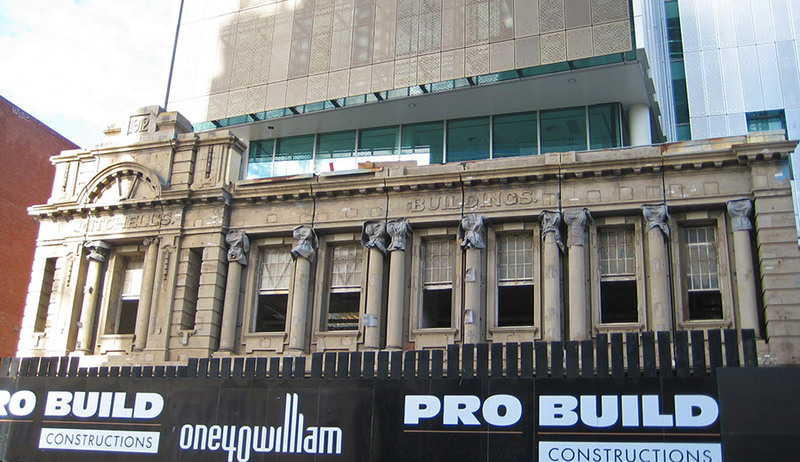 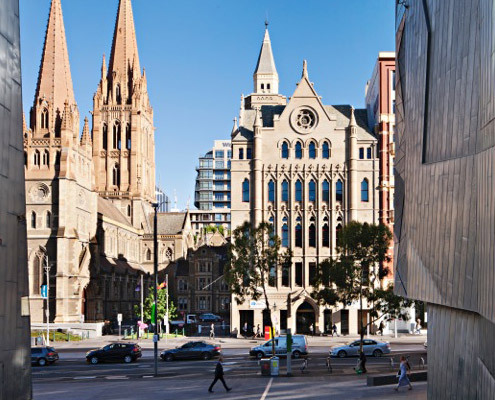 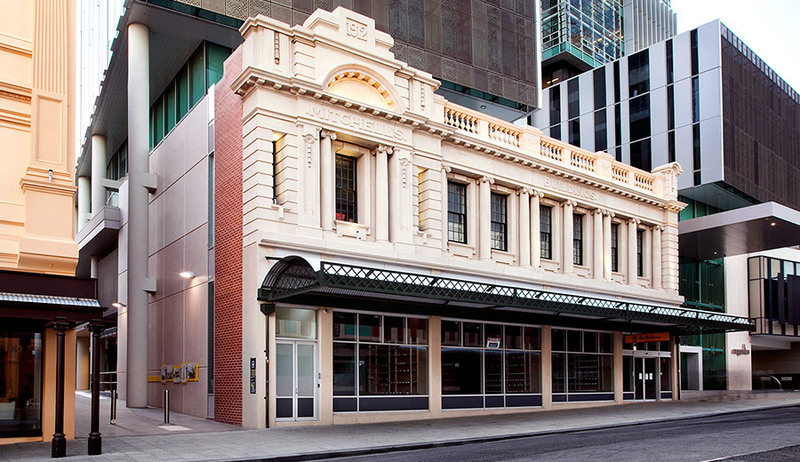 The façade belonged to the Mitchell Building — a two-storey commercial structure completed in 1913, which was dismantled and stored during construction of the MetroRail station beneath William Street. 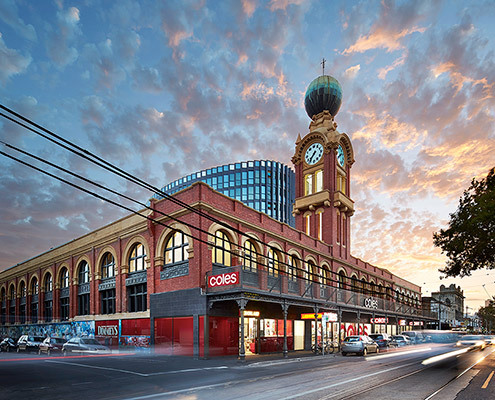 Restoration works included the conservation and repair of masonry, the refurbishment and reinstatement of window joinery, and the installation of new shop fronts based on photographic and physical evidence. 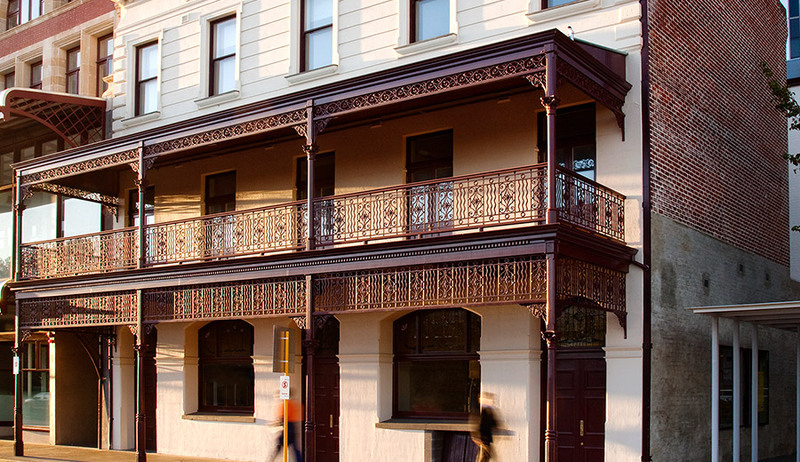 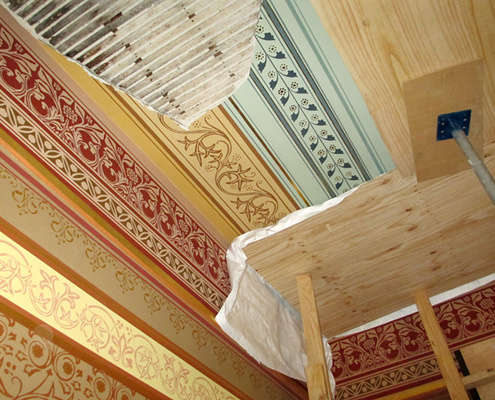 Also based on such evidence, two lattice truss-supported canopies have been reinstated and a two-storey verandah with cast iron decorative panels reconstructed. 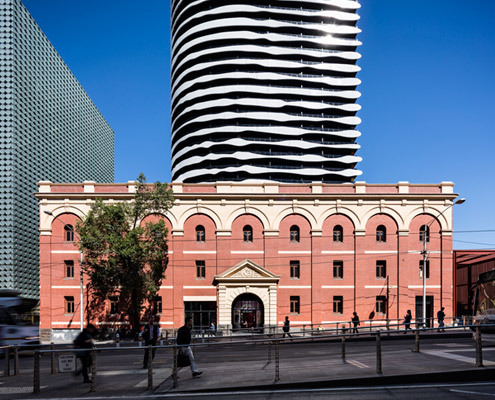 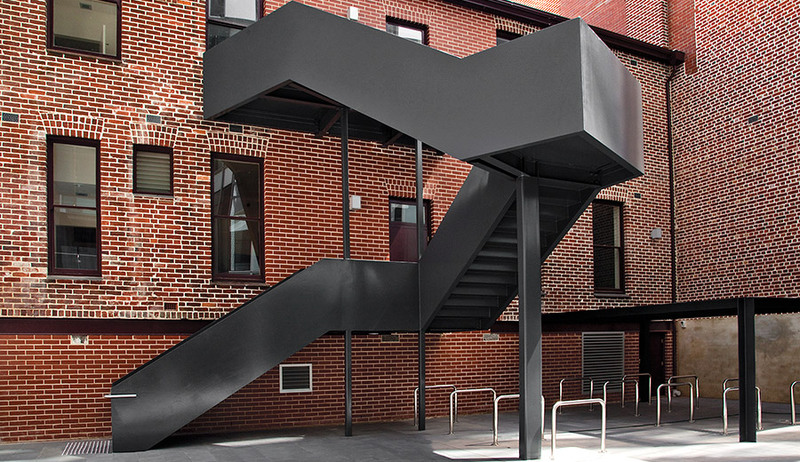 One40william sucessfully demonstrates the potential of retaining historic fabric within a much larger contemporary scheme, adding to a sense of place and enabling a diverse range of retail and office accommodation.